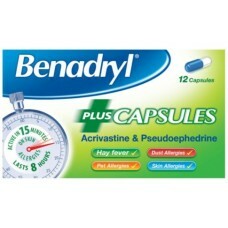 If you forget to take Benadryl Plus, just take the next dose as soon as you remember. Pregnancy and breast-feeding: Ask your doctor or pharmacist for advice before taking any medicine. This product contains lactose: If you have been told by your doctor that you have an intolerance to some sugars, contact your doctor before taking this medicine. 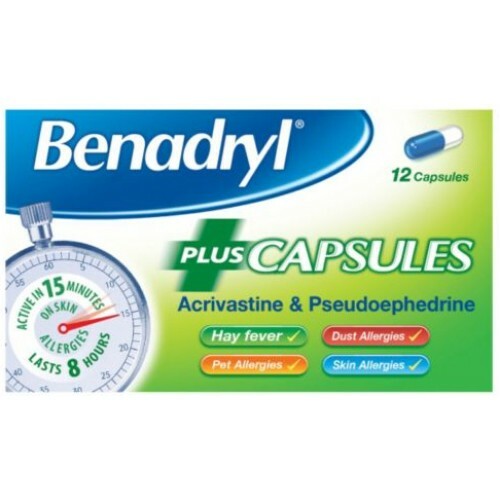 Benadryl Plus can have side-effects like all medicines: although these don't always affect everyone and are usually mild. You must be at least 16 years of age to purchase this product.